A Sphinx’s Field Guide To Questionable Answers. 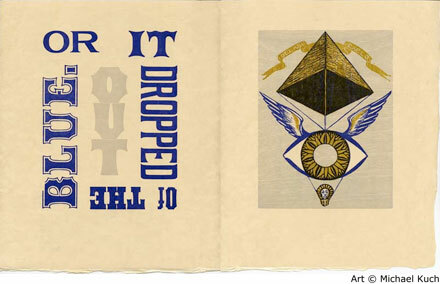 Text and woodcuts by Michael Kuch. Double Elephant Press, 2004. 7 ¼ x 10 inches, 16 leaves, 150 copies. Printed by Art Larson.